After the film La La Land sweeped up seven Golden Globe Awards, a new record for one movie, I decided this movie was definitely worth seeing. 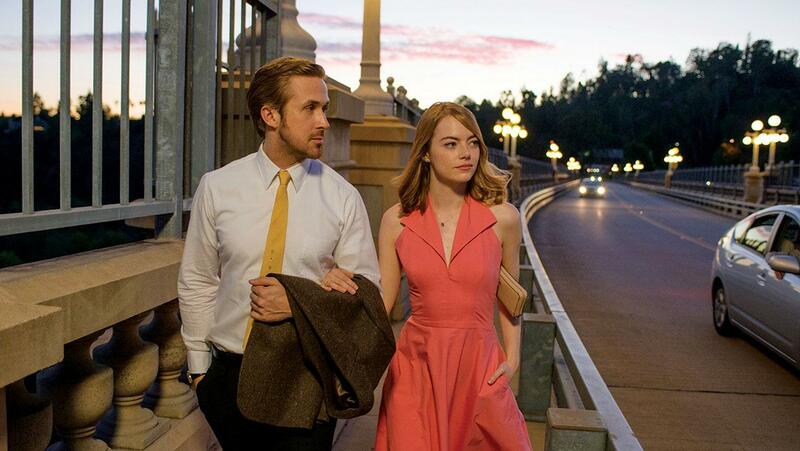 The film stars Emma Stone and Ryan Gosling, a delightful pairing. It follows the story of Mia, a struggling actress, and Sebastian, a jazz pianist who fall in love while trying to pursue their personal dreams in the city of Los Angeles. La La Land instantly sweeps you off your feet, as you dive head first into this magical film. It makes you sing, dance, laugh, and cry. La La Land is a triumph. Mia and Sebastian at a jazz piano bar in a scene from La La Land. Part of what makes this film so special is the dazzling performances. Stone, who has previously been in The Help and The Amazing Spider-Man, gives the performance of her career. Getting to show off her singing abilities allowed Stone to truly shine so brightly in this film. Gosling proves he can do no wrong, as he adds another showstopper into his diverse film collection (The Notebook and Drive– to name a few). The fact that he learned to play piano for the movie and did it so flawlessly, shows his talent and dedication as an actor. La La Land marks Stone and Gosling’s third movie together (Crazy, Stupid, Love and Gangster Squad) which makes sense because the on-screen chemistry cannot be denied. The music in La La Land is the best part of the entire film. Seeing my mother dancing in her seat and hearing the lady next to me whisper “wow” after the very first song shows the audience was enjoying the film as much as I was. Stone’s final audition song, “The Fools Who Dream,” was by far the best and most moving moment of the film. This song was an ode to dreamers, something everyone can deeply relate to. It was nearly impossible for me to find something I didn’t like about this film. La La Land flies high above the others and breaks the boundaries for movie-musicals. It will be a definite contender for the Oscars this year, and is deserving of all its praise. If you haven’t seen La La Land yet, I would highly recommend it; a movie like this with such beauty and magic is not to be missed.